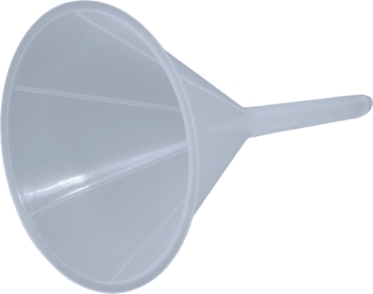 Our funnels are manufactured from high quality polypropylene. Two sizes are available, 6” and 4” diameter. Designed with a fluted funnel and a smooth straight stem, these products are autoclavable.